Soon after launching my interior design business, we opened a one-of-a-kind boutique with an adjacent design office in the heart of bustling Hayes Valley. Featured in numerous regional and national publications from its beginning, it quickly became a renown design destination for a loyal following of neighbors, customers, clients and interior designers. Displaying my signature playful and livable approach to design, Lotus Bleu was often described as a vibrant candy store of color for home décor. And our very proudest compliments came from visitors sharing how happy and uplifting the boutique made them feel. Traveling to over 50 countries in Europe, Asia, Africa, the Americas and Middle East, I brought to San Francisco my favorite globally inspired, richly colored, graphically patterned products by artisans taking a modern approach to traditional workmanship. 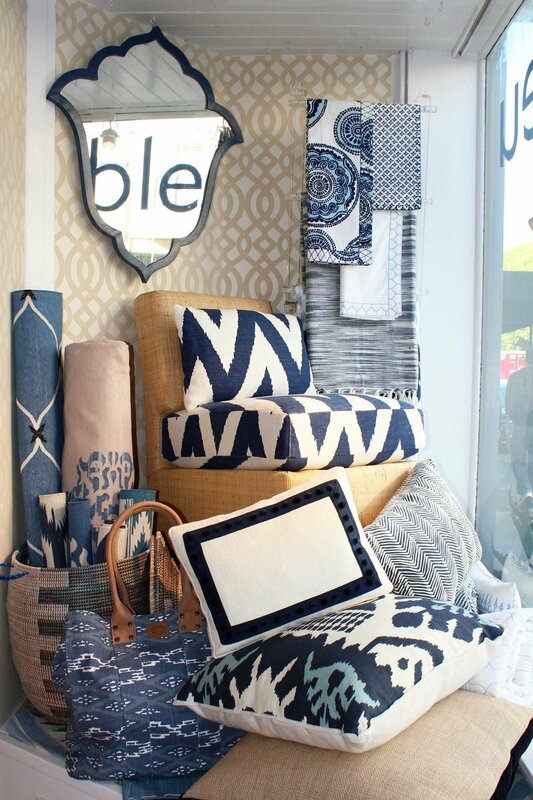 Lotus Bleu featured my favorite collections of textiles, decorative pillows, rugs, furnishings, reupholstered vintage pieces, bedding, lighting, table linens, lacquerware, ceramics, and accessories from sought-after and hard-to-find designers from near and far. Exclusively representing or providing the widest selection of offerings in San Francisco or on the West Coast from American brands including Madeline Weinrib, Oomph, Dunes and Duchess, John Robshaw and Jill Rosenwald to internationally-based ones like Casamidy, Skinny laMinx, Tulu, Muskhane, and Robert le Héros, we acquired a loyal following of customers and clients, including notable local interior designer firms. Focusing on product lines that were customizable, our knowledgeable and dedicated design team gave our customers a personalized shopping experience in which they could confidently return home with truly unique and coveted home décor items catered to their lifestyle that stand the test of time.